Your home office has special needs from the rest of your home. Have you run out of electrical outlets in your home office? While adding new outlets might seem like a weekend DIY project safety experts recommended to work with a licensed electrician, such as APJ Electric, LLC to ensure the safety of your family. Electrocution and fire are always concerns and you may not be aware of the always changing building code requirements and laws for electrical work in your local area. Making sure everything is up to code will save you a lot of headaches in the future. Generators to keep your business running. In an emergency, portable generators can provide critical backup power when your business needs to continue running. 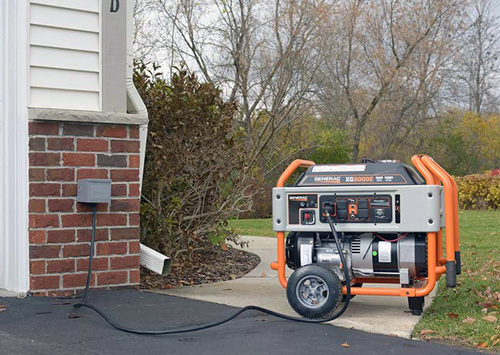 Generac portable and full scale generators make sure the most important items such as your lights, computers, and other critical components are up and running, minimizing any disruption to your home business. We are an authorized reseller and installer of all Generac products and we can help you choose whether you need a full scale Generac generator or a portable Generac generator.